Regardless of estimates and appraisals, a home is only worth what a buyer is willing to pay to acquire it. However, it's still necessary to have a general idea of the market value of your home to determine a reasonable selling price. Home values can change rapidly, making an accurate estimate is tricky. That is why many choose to calculate a home’s value by getting multiple opinions. A real estate agent can give you a fair impression of your home’s value. However, you should consider getting several estimates, as they can fluctuate greatly between agents. As such, you should generally begin with an average of these estimates and make small adjustments upward or downward if necessary. You can additionally hire an independent appraiser to review your home and calculate an unbiased, professionally-determined value. With pressures from banks that have been hurt by previous optimism, appraisals can be overly critical, and having an outside opinion can put the value into perspective if you believe the appraisal from the lender is incorrect or biased. Appraisers review sales records of similar properties sold recently called referred to as “comparables.” They typically use this method by identifying homes that have sold within both a reasonable distance and timeframe. Ideally, search for properties that have sold within six months of the appraisal and within one mile of your home. Note, however, that the average time on the market within the subject area may require adjustments of this ideal timeframe. for instance, in a rapidly appreciating market, try to find comparables less than three months old for a more reliable pricing estimate. In recent years, the slowing of the housing market has contributed to fewer available examples of comparable houses; however, with a wealth of information at your fingertips, the internet could be just the resource for calculating your home’s market value. 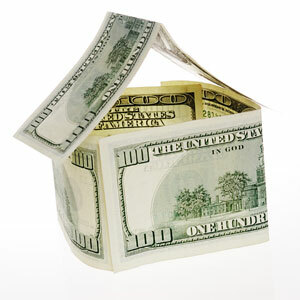 In fact, many websites will provide general pricing ranges of comparable homes within your region. When using this method, be sure that you are making reasonable comparisons to avoid incorrect estimates. Consult data from the various organizations that track home price fluctuations, such as the National Association of Realtors (NAR), the Office of Federal Housing Enterprise Oversight, and the Case-Shiller index. While these institutions analyze pricing fluctuations in a larger scope, you can still use these statistics to develop a rough idea of the housing market trends in your vicinity. Alternatively, consider collecting local data from your region’s multiple listing service; be sure to gather sufficient data to be able to identify and rule out unusual cases. While the housing market will not always give the most accurate impression, you can still develop a reasonably decent estimate by observing these pricing trends. If you live in one of the 10 chief housing markets tracked by the S&P/Case-Shiller Home Price indices, you can find information on future contract pricing to find out investor opinions on homes in your area, and whether they find it bearish or bullish. By employing one or multiple of these methods, you should be able to formulate a reasonably accurate price range for your home and calculate your home value without an appraisal. However, remember to be as objective as possible to help avoid personal biases.